What Issuers Can Expect from Crowdfunding Regulations - Colonial Stock Transfer Company, Inc. The SEC believes that the crowdfunding regulations (Section 4(a)(6) of the Securities Exchange Act) would make it easier for small businesses to raise capital, who wouldn’t be able to otherwise, due to having smaller and more variable cash flows than larger businesses and a limited amount of working capital to obtain traditional bank loans. Accordingly, issuers can expect to benefit from securities-based crowdfunding as they would not have to endure as many hardships raising capital. If a large number of issuers seek to obtain capital through securities-based crowdfunding, the competition amongst allocators of capital could increase, which could result in a lower cost of capital for all issuers. Issuers who look to pursue crowdfunded offerings may find it challenging to determine an initial price, due to limited operating histories and the absence of a professional underwriter. 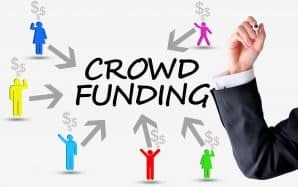 Consequently, it is still unclear on how an initial offering price would be reached for the securities offered in a crowdfunding. Additionally, the liability for investors would be unknown if issuers cannot provide reliable disclosures. The additional resources that would be allocated to the filing of these forms may be extraneous and cumbersome for some issuers. Issuers must file specific disclosure forms regarding crowdfunding transactions on Form C: Offering Statement to the SEC. Amendments to Form C would be required to be filed on the SEC’s EDGAR system if the issuer were to disclose any material changes in the offer terms or disclosures previously made available to investors. Since many issuers would be first time filers, the SEC anticipates that many of these issuers will need to file a Form ID. In summation, the effect of crowdfunding seems to be great for startups and small businesses. Startups and small business could easily tap into a variety of financing resources with minimal effort, while trimming expenses commonly associated with registration offerings. Over the next few months, Colonial will pay close attention to updates and SEC releases that may disclose further information regarding the proposed regulations, while continuing to add new measures to enhance the quality of EDGAR filings and crowdfunding transfer agent services.